Ohio Marijuana Legalization - Medical Marijuana Inc. Lawmakers pass bipartisan bill ahead of November election to retain control over the future of medical marijuana in Ohio. With a swipe of his pen, Republican Gov. John Kasich signed a bill Wednesday afternoon that legalizes medical marijuana in his state. The legislature pressed the bill through the approval process in order to preempt groups trying to place an initiative on the ballot for this fall. Ohio voters rejected a broader medical marijuana measure last year, prompting state lawmakers to pass their own legislation before this year’s election. The new bill limits access to medical marijuana to chronically ill patients suffering from a specific list of qualifying conditions. However, the law allows for individuals to petition for additional conditions to be approved later. The list of approved conditions includes HIV/AIDS, Alzheimer’s disease, Amyotrophic lateral sclerosis (ALS); cancer; chronic traumatic encephalopathy (CTE); Crohn’s disease; epilepsy or another seizure disorder; fibromyalgia; glaucoma; hepatitis C; inflammatory bowel disease; multiple sclerosis; pain that is chronic, severe, and intractable; Parkinson’s disease; post traumatic stress disorder; sickle cell anemia; spinal cord disease or injury; Tourette’s syndrome; traumatic brain injury; and ulcerative colitis. One group that was pushing for a medical marijuana ballot measure for the fall election has ended its signature gathering campaign. Ohioans for Medical Marijuana, supported by the Marijuana Policy Project, has suspended their ballot initiative in the face of the new law. Ohioans for Medical Marijuana said the bill was “a step forward”, calling it, “a moderately good piece of legislation passed by lawmakers who were pushed hard by the patient community.” The group intends to act as patient advocates going forward to press for proper implementation of the law and patient’s rights. Other medical marijuana ballot initiatives hoping to make it onto Ohio’s ballot in November have fallen short of the needed number of signatures or have suffered funding setbacks. It could be two years before the program is up and running. This leaves qualifying patients in Ohio in a unique position. While they will legally be able to consume approved medical marijuana products as early as September, there will be nowhere to purchase their medications, forcing patients to turn to the black market or bring cannabis products in illegally from over state lines. The law will allow vaporized forms of cannabis, but patients will not be able to grow their own or smoke their marijuana. When the law takes effect in 90 days, cities and towns will have the option to ban or limit the industry, and cannabis facilities, whether cultivators, processors, or dispensaries, must be at least 500 feet from protected areas, like schools, churches, libraries, and parks. The program will be overseen by a newly created Medical Marijuana Advisory Committee, a 14 member panel representing employers, patients, law enforcement, and the medical community. However, the Ohio Department of Commerce, the Ohio State Medical Board, and the Ohio Board of Pharmacy will all play a role in the new industry. With the addition of Pennsylvania as a medical marijuana state in April, 51% of Americans live in a state with medical marijuana. The addition of Ohio this week marks the 25th state to legalize medical marijuana, while 17 more allow high-CBD, low-THC products. Currently, there are only 8 states in the nation that ban all forms of medical marijuana. Unlike products made from medical marijuana, however, the non-psychoactive products made from hemp oil are legal for purchase in all 50 states without a doctor’s recommendation. Public opinion of medical marijuana is at an all time high, encompassing almost all adults in the U.S. Quinnipiac University released a recent poll showed that nearly 90% of Americans are in favor of medical marijuana. 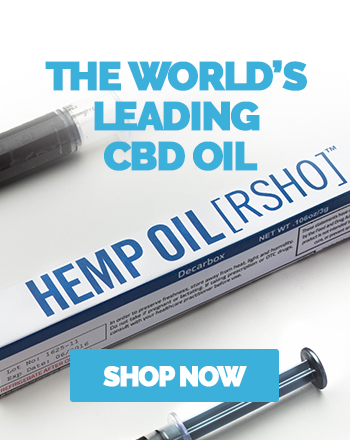 To learn more about the medical marijuana laws in your state, visit our education page or shop our store to get started with CBD hemp oil products today.